Is it possible to travel to Russia Visa-Free? You are here: Home / 1. Visa / 1.2. Visa to Russia / Is it possible to travel to Russia Visa-Free? Who does not need a visa? There are around 50 nationalities which are not required to have a visa to enter Russia. If you are not a citizen of any of these countries (and you don’t have a diplomatic passport), then you need to apply for a visa to Russia before departure. However, there are some minor exceptions to this general rule, for example, travelers arriving to Russian ports in a cruise. The vast majority of foreigners traveling to Russia require a visa to enter the country, however, there are about 50 nationalities which are not required to have a visa to enter Russia. This group does not include the 3 Baltic states, Estonia, Latvia and Lithuania, which are currently members of the EU, nor Georgia or Turkmenistan, which are no longer part of the CIS. Bosnia and Herzegovina. They do not need a visa for up to 30 days for ordinary passports. Macedonia. They do not need a visa for up to 30 days, if they have a tourist invitation. Montenegro. They do not need a visa for up to 30 days for ordinary passports. Serbia. The holders biometric civil passports do not need a visa for up to 30 days. Please note that citizens of Turkey no longer have visa-free from January 1, 2016. Brunei Darussalam. No visa for all types of passports for stays of up to 14 days. Laos. No visa for all types of passports for stays up to 30 days. Mongolia. No visa for all types of passports for stays up to 30 days. North Korea. No visa for regular civil passports up to 60 days. Hong Kong. No visas of up to 14 days for permanent residents of Hong Kong with a valid passport. Macao. No visa for stays of up to 30 days for permanent residents of Macao with valid passport. Thailand. Without visa for ordinary passports and stays up to 30 days. Israel. Without visa for ordinary passports and stays up to 90 days. 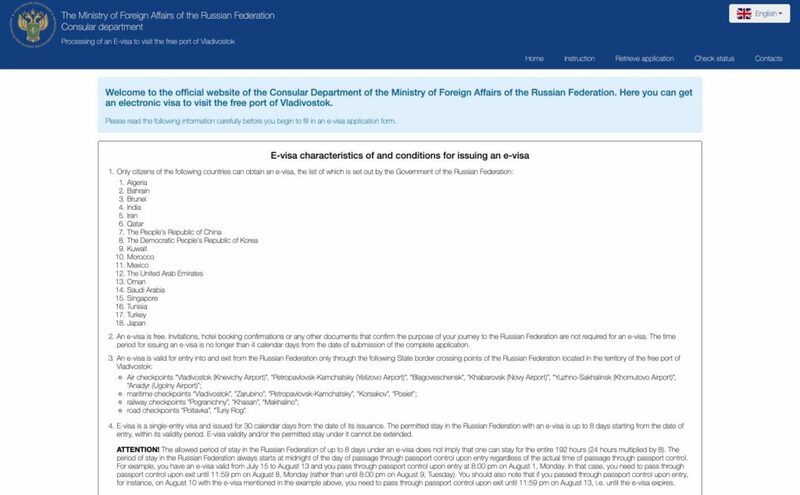 Finally add that citizens of the People’s Republic of China can enter Russia without a visa for up to 15 days in tourist groups of 5 to 50 people, according to the certified lists and confirmations of Russian tourist organizations. Fiji. No visa for all types of passports for stays up to 90 days. Nauru. No visa for all types of passports for stays of up to 14 days. Samoa. No visa for all types of passports for stays up to 60 days. Vanuatu. No visa for all types of passports for stays up to 90 days. Mauricio. No visa for all types of passports for stays up to 60 days. Seychelles No visa for all types of passports for stays up to 30 days. South Africa. No visa for all types of passports for stays up to 90 days. 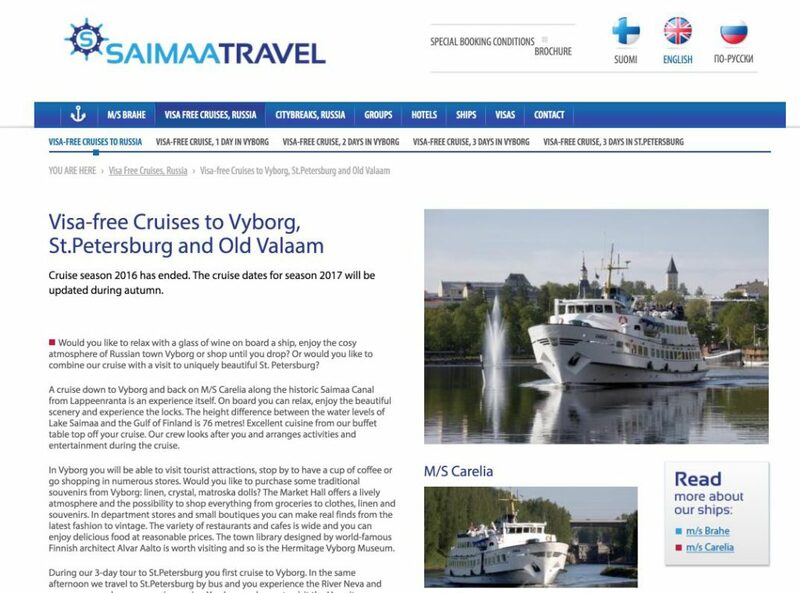 If you are traveling by ferry from Helsinki, Tallinn and Stockholm (with a stop in Helsinki) to St. Petersburg with St. Peter Line company or from Lappeenranta to Saint Petersburg or Vyborg with the company Saimaa Travel. If you are visiting the city with an authorized guided tour, who will accompany you at all times on your visit to the city. This means that from the moment you leave the boat in the morning (usually around 8) until you return to it (about 17 hours), you have to follow the scheduled time and you won’t have the opportunity to visit the city on your own. This rule also applies if you arrive to Russia through the ports of Anadyr, Arkhangelsk, Kaliningrad, Korsakov, Novorossiysk, Murmansk, Sebastopol, Sochi, Vladivostok, Vyborg and Zarubino. Hire the guided tour offered by your cruise. This is the easiest option, but note that the tours offered by cruises are significantly more expensive than those you can hire independently on your own count with any company in St. Petersburg. Is it worthwhile to make a guided tour or is it better to apply for a tourist visa to visit the city independently? It depends. 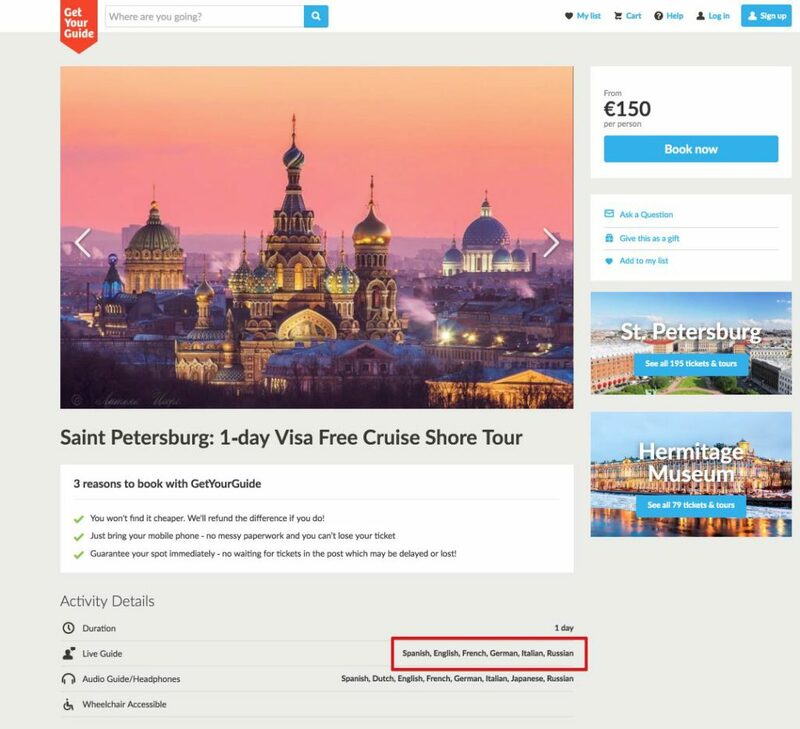 The easiest way is to hire a guided tour; however, if you want to be completely free to move around St. Petersburg, enjoy the city at night (especially during the time of white nights) or the Sapsan train to reach Moscow in 4 hours and visit the Russian capital, the best option is to apply for a visa before taking the cruise, which will probably mean a lower expense than hiring guided tours (in this article I explain you how to do it and how to gather all documentation in 1 hour). If you plan to visit the city at night, it is advisable to book accommodation in St. Petersburg, since it is likely that there are restrictions on returning to the ship from certain times in the afternoon. 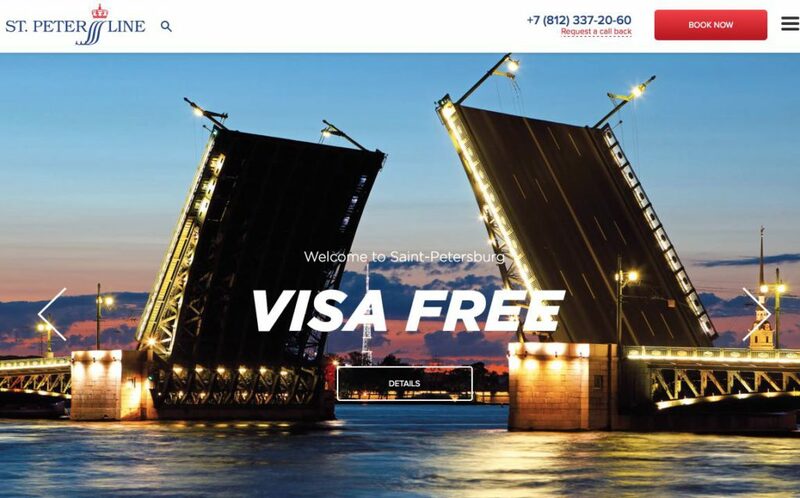 If you are traveling by ferry from Helsinki, Tallinn and Stockholm (with a stop in Helsinki) to St. Petersburg with St. Peter Line Company, you can also enter St. Petersburg without a visa for a maximum period of 72 hours. Unlike cruise passengers who are forced to spend the night on the boat, if they want to enter the city without a visa, St. Peter Line’s passengers need to book a hotel or apartment during their stay. 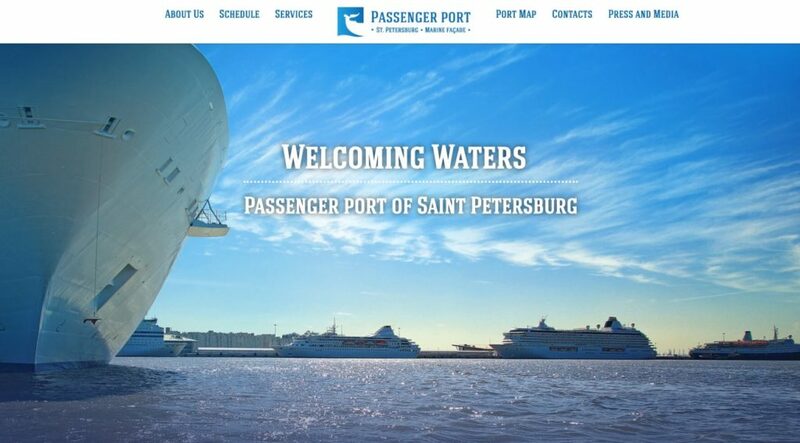 Besides St. Peter Line, it is also possible to enter without a visa in St. Petersburg or Vyborg, making the trip from Lappeenranta with the Finnish company Saimaa Travel, and hiring some of their guided tours. Finally, it has arose the matter of whether it would be a good idea to remove the visa for travelers that are going from Helsinki to St. Petersburg on the Allegro train, though to current date these travelers still need visa. We’ll see if in the future it is possible to enter without a visa by train from Finland. Passengers that make stops at international airports in Russia to continue their journey to another destination outside Russia don’t need a visa if they remain for less than 24 hours and don’t leave the international area of the airport, and don’t cross the passport control, either. 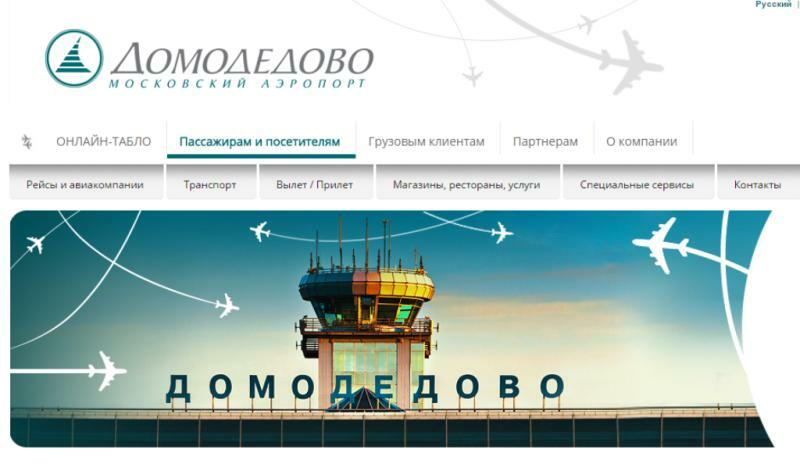 Moscow Sheremetyevo Airport (SVO). Terminals D, E and F.
International Airport of Vnukovo (VKO) in Moscow. Terminal A. When you make a plane trip with a stopover in a Russian airport, I recommend to always contact the airline, so they expressly inform you if you need transit visa for the journey. It is also useful to consult the Timaticweb system to find the specific visa requirements. The Kaliningrad region, with borders to the north with Lithuania and to the south with Poland, both belonging to the European Union (EU), is a Russian enclave of 15,100 km2 and has access to the Baltic Sea. From February 1, 2002, citizens of Schengen states, the UK and Japan, can visit the Russian region of Kaliningrad as tourists and get a visa for 72 hours at the border checkpoints of Bagrationovsk, Mamonovo and airport of Khrabrovo, if they travel through one of the travel agencies authorized by the Russian government, though the Russian government planned to cancel this procedure, it continues to operate today.Sin embargo, el 1 de noviembre de 2017, el gobierno ruso canceló este procedimiento de visado. However, on November 1, 2017, the Russian government canceled this visa procedure. There have been reports that the Russian government was about to introduce a new electronic visa procedure in Kaliningrad in the near future, but at present no regulations have been approved, so it is necessary to apply for a tourist visa to visit Kaliningrad. 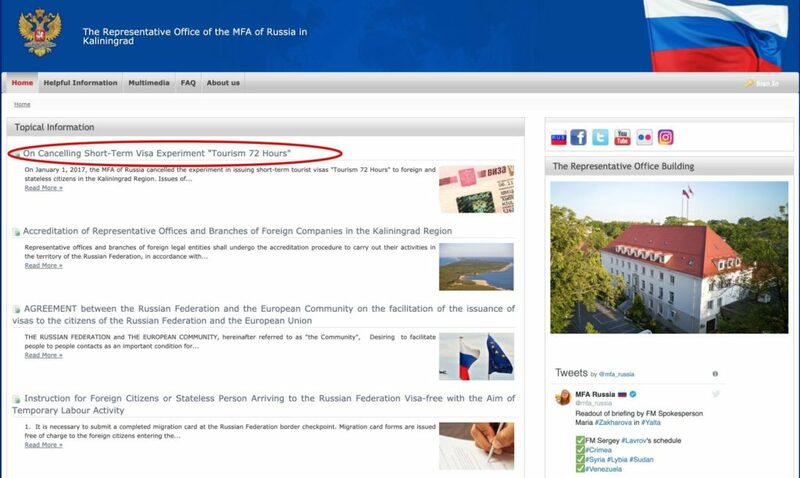 To be aware of the latest visa news, it is best to check the government website of the Kaliningrad region. 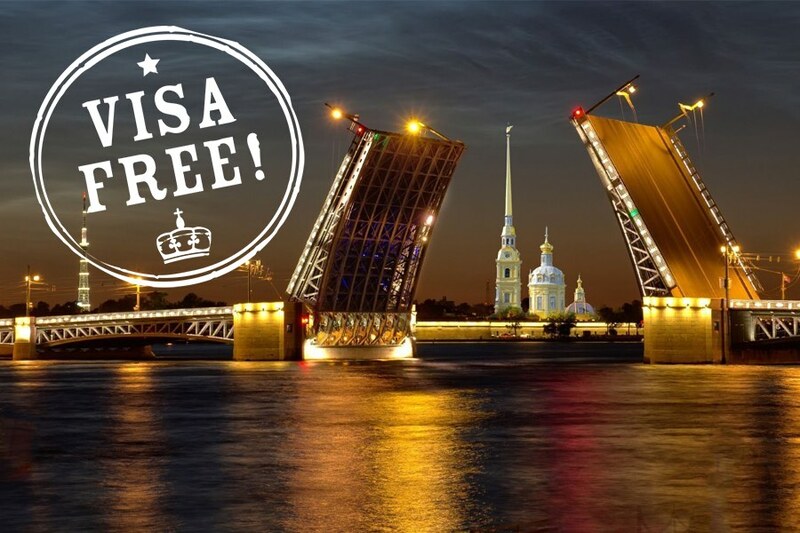 This electronic visa is free and valid for arrivals to Russia through Vladivostok International Airport or through the passenger maritime terminal of Vladivostok. In short, it is not a visa waiver but a free electronic visa granting system, and to visit Vladivostok. Citizens of the following countries can apply for this visa: Algeria, Bahrain, Brunei, India, Iran, Qatar, China, North Korea, Kuwait, Morocco, Mexico, Arab Emirates, Oman, Saudi Arabia, Singapore, Tunisia, Turkey and Japan.